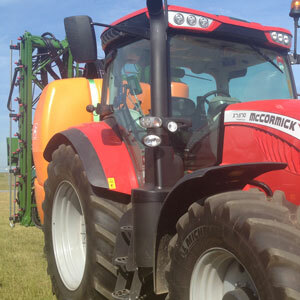 Our assessment course in Boom Sprayer; Hydraulic Nozzle, has experienced instructors who will guide you through the appropriate and safe use of the Boom sprayer from 1m width to 36m. For further information on this course please see details below. Next Course February 2018, click through Calandar to book. When you check availability you will be taken to our registration page . We will then contact you to confirm details and secure your booking. We will not request any financial details at this stage. Course Content, this course prepares you for the C&G Assessment/Qualification. Know how to carry out post-operational procedures. Notes: In order to be a assessed in the use of a boom sprayer you will need to have attended a Safe use of Pesticides, PA 1 Course and passed the assessment.